How Does Benzoyl Peroxide Work in the Skin? 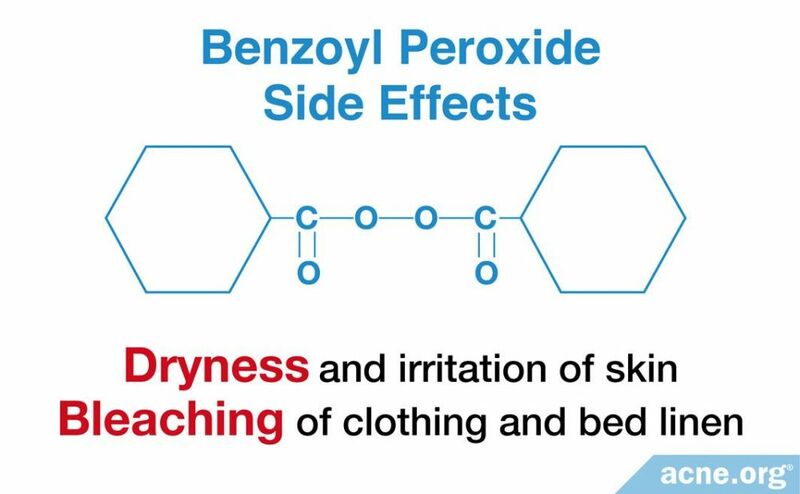 The side effects of benzoyl peroxide are manageable and usually decrease as treatment continues. Recommendations to minimize these effects are to use a lower dose (2.5% strength), start treatment just once a day, every other day, and slowly ramp up your dosage until you are using it twice a day, every day, and applying it very generously. Benzoyl peroxide was first used in agriculture and industry. In 1929, physicians discovered that it could be used as a topical treatment for wounds and burns. In 1934, the researchers Lyon and Reynolds found that it was an effective treatment for a case of acne, however it was not until the 1960s that physicians began using it as a regular treatment for acne patients. 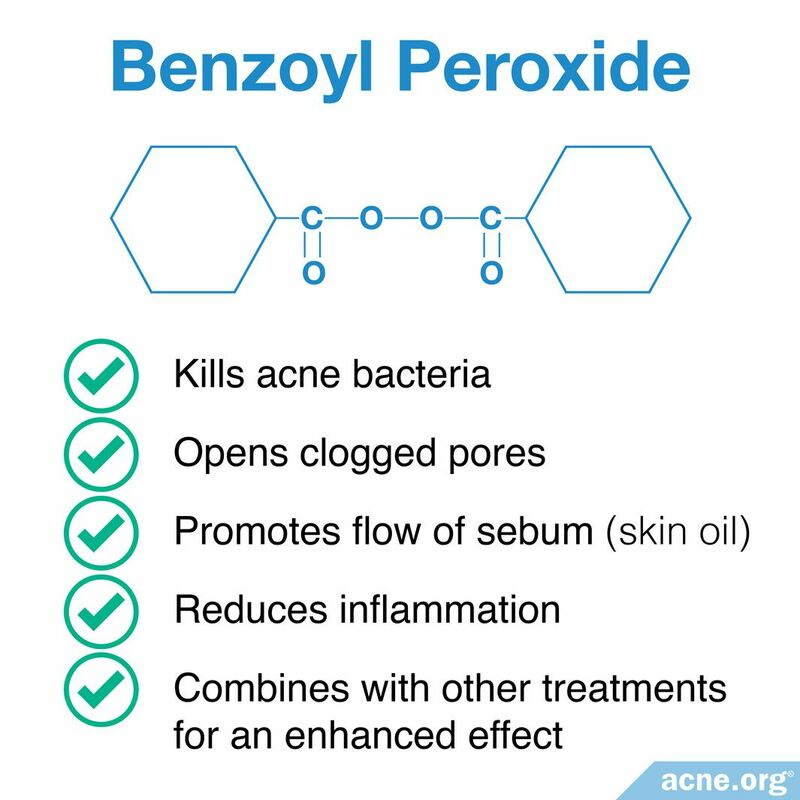 Now, 60 or so years later, benzoyl peroxide is used as a main treatment for mild to moderate acne,1and when applied correctly can even bring cases of severe acne under control. What Exactly Is Benzoyl Peroxide? Manufacturers derive benzoyl peroxide from coal tar. After several processes, the final product is in the form of white crystals. It is a compound made out of carbon, oxygen, and hydrogen atoms with most of the carbon atoms linked in two "benzoyl" ring structures. 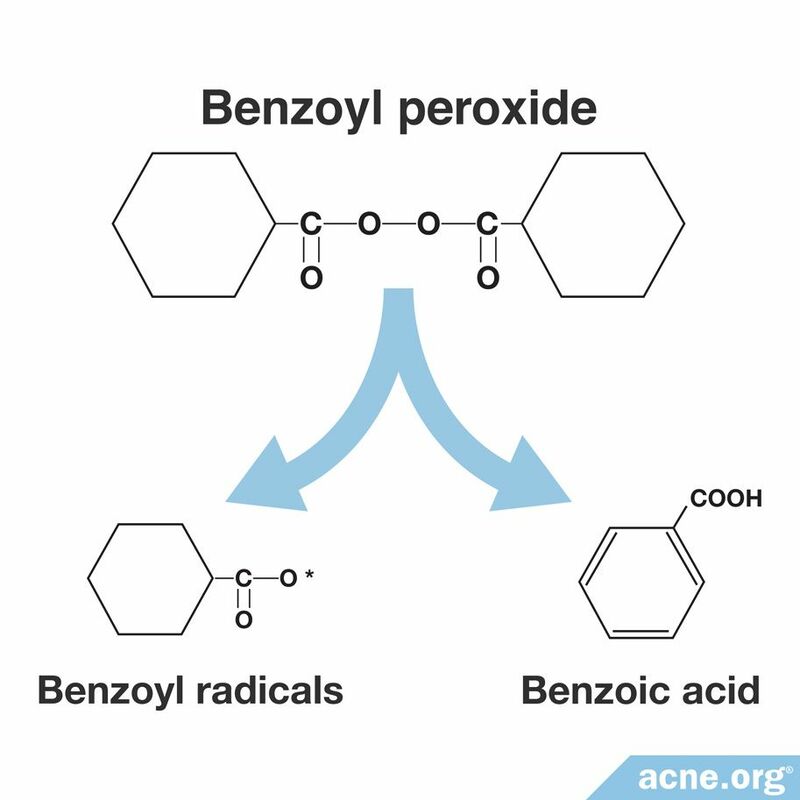 Benzoyl radicals are a special type of atom with unpaired electrons called free radicals, which create oxygen inside the skin, in a process called oxidation. Acne bacteria cannot survive in the presence of oxygen, and when benzoyl radicals encounter these acne bacteria, the bacteria have no chance at survival and they die off. Not all free radicals are welcomed in the body, however, and the skin has antioxidants to help neutralize free radicals. Applying benzoyl peroxide depletes one of these antioxidants, α-tocopherol (a type of vitamin E), by 90% after application. This is why it's a good idea to apply an antioxidant-containing moisturizer after using benzoyl peroxide to replenish antioxidant stores in the skin. According to the researchers, "It is very likely that barrier α-tocopherol depletion occurs during BP use in acne treatment. Vitamin E depletion and subsequent oxidation of lipids and proteins may account for common side effects such as dry and scaly skin. "4 This is thought to be the reason for the dryness and flakiness that many people experience after benzoyl peroxide application, and is why a moisturizer is usually applied after benzoyl peroxide use. Despite these differences between studies, benzoyl peroxide consistently shows significant effectiveness compared to placebos. The drug shows on average a 50% reduction of inflamed lesions and a 46% reduction of non-inflamed lesions.1 This effectiveness rate seems very low to people who use benzoyl peroxide correctly in the real world, however, because when used properly, benzoyl peroxide can completely clear the skin. 5% benzoyl peroxide significantly reduces the number of P. acnes in only 48 hours. After application of benzoyl peroxide, researchers notice more oil on the surface of patients' skin. Benzoyl peroxide does not increase the amount of skin oil that the skin produces, but instead allows the skin oil to escape faster from the pores. This helps with acne because the flow of skin oil can bring with it the skin cells that would normally stay put in the pore and become a clog. In a sense, benzoyl peroxide irrigates pores. A few studies demonstrate the anti-inflammatory properties of benzoyl peroxide. The studies use cell cultures in the lab, however, and not real patients, so it is not certain that the results will be the same for real patients. These studies show that benzoyl peroxide kills inflammatory immune cells, which prevents them from releasing inflammatory molecules in the acne lesions.1,3 Since acne is at its root an inflammatory disease, if benzoyl peroxide does in fact reduce inflammation in human skin, this is another way it could help reduce acne. Benzoyl peroxide combines with other acne treatments to produce an effect greater than the sum of the individual effects. This increase is called a synergistic effect. The combination of benzoyl peroxide with the antibiotics erythromycin and clindamycin, for instance, increases the antibiotics' effectiveness because benzoyl peroxide also kills bacteria. The action of benzoyl peroxide is in turn enhanced by the antibiotics because antibiotics help promote the formation of benzoyl radicals, boosting the bacteria-killing ability of benzoyl peroxide. Patients can use this information and develop best practices to manage the side effects. Most people find that starting with a small amount of benzoyl peroxide and using it every other day is a good way to start, and researchers agree.8 Benzoyl peroxide is available in gels, aquagels, creams, lotions, and washes. Patients with oily skin may prefer to use gels, while patients with dry or sensitive skin may prefer a cream formula. Washes usually do not clear the skin as much as leave-on products like gels, creams, and lotions. Tucker, R. & Walton, S. The role of benzoyl peroxide in the new treatment paradigm for acne. Pharm. J. 279, 48 - 53 (2007). 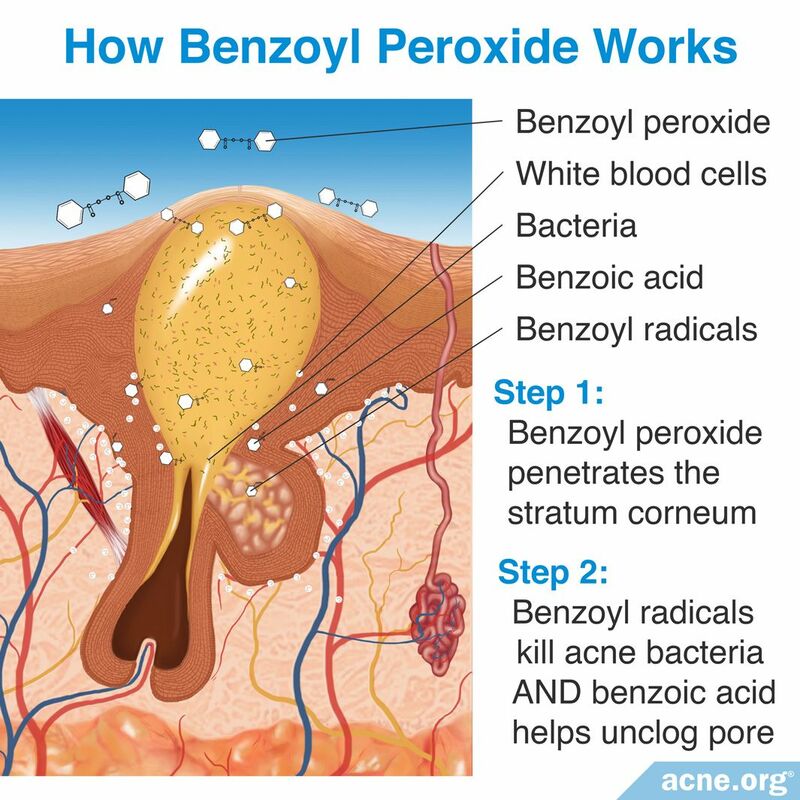 Mohammad, T. F. Acne therapeutics: A closer look at Benzoyl Peroxide. Skinmed 13, 94 - 96 (2015). Sagransky, M., Yentzer, B. A. & Feldman, S. R. Benzoyl peroxide: a review of its current use in the treatment of acne vulgaris. Expert Opin. Pharmacother. 10, 2555 - 2562 (2009). Thiele, J. J. Oxidative targets in the stratum corneum. A new basis for antioxidative strategies. 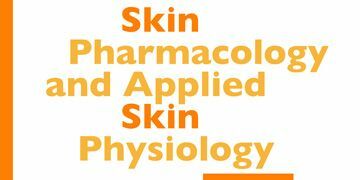 Skin Pharmacol. Appl. Skin Physiol. 14 Suppl 1, 87 - 91 (2001). Stinco, G., Bragadin, G., Trotter, D., Pillon, B. & Patrone, P. Relationship between sebostatic activity, tolerability and efficacy of three topical drugs to treat mild to moderate acne. J. Eur. Acad. Dermatology Venereol. 21, 320 - 325 (2007). Cunliffe, W. J., Stainton, C. & Forster, R. A. Topical benzoyl peroxide increases the sebum excretion rate in patients with acne. Br. J. Dermatol. 109, 577 - 579 (1983). Zuliani, T., Khammari, A., Chaussy, H., Knol, A. C. & Dréno, B. Ex vivo demonstration of a synergistic effect of adapalene and benzoyl peroxide on inflammatory acne lesions. Exp. Dermatol. 20, 850 - 853 (2011). 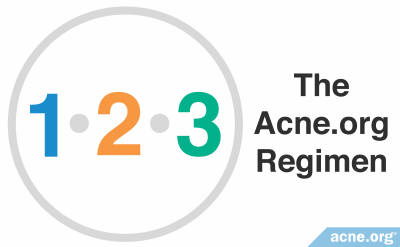 Tripathi, S. V, Gustafson, C. J., Huang, K. E. & Feldman, S. R. Side effects of common acne treatments. Expert Opin. Drug Saf. 12, 39 - 51 (2013). 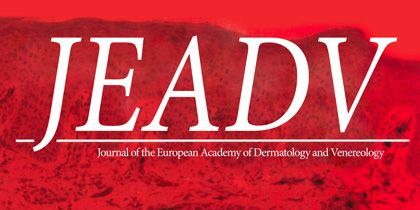 Mills, O. H., Criscito, M. C., Schlesinger, T. E., Verdicchio, R. & Szoke, E. Addressing free radical oxidation in acne vulgaris. J. Clin. Aesthet. Dermatol. 9, 25 - 30 (2016).